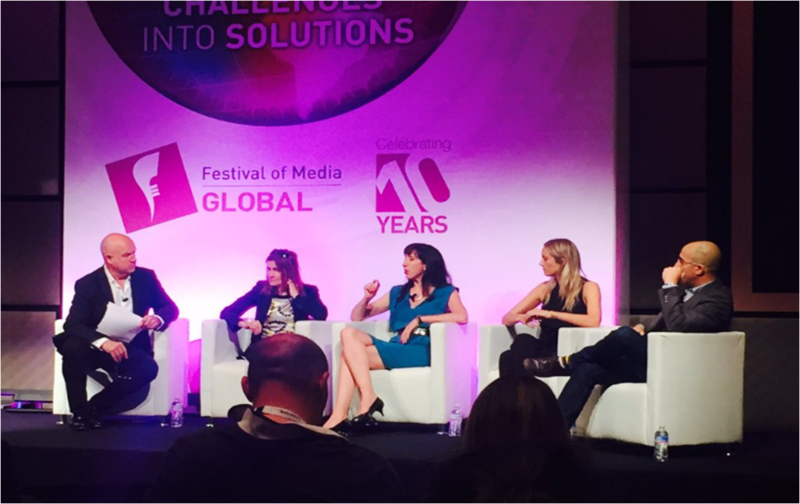 It is always great to be at the Global Festival of Media in Rome but this year Christina was also part of an expert panel debating the best way forwards for brands, agencies and start-up tech to collaborate and unlock marketing innovation – based on her time leading with Openr. The illustrious panel united in Rome, from all over Europe, to debate the state of play for marketing tech innovation. It’s a big topic. It’s rife with challenges as the culture of three very different organisations — corporate brands, agencies and start-ups — clash when trying to unite to conceptualise and implement new start-up marketing tech on branded campaigns. Fortunately the chair for this panel — strategist and author Michael Bayler – has an equally big personality, and a few views of his own. Michael was ring master of the panel including Doran Tal, mad-tech scouter for Havas in Israel; Emily Forbes, founder of mad-tech start-up Seenit, which is changing the way brands create video by enabling them to crowdsource engaging and authentic video at scale from communities, fans, and customers; Christina Richardson, as co-founder and CMO of Openr; and Rose Lewis, co-founder of Collider, the London-based accelerator that focuses on supporting and connecting marketing start-ups with brands. Everyone on this panel — and probably in the room — appreciated that the relationship between technology start-ups, large brands, and the agencies that sit in the middle, is critical going forward. The need for creativity and constant innovation to improve campaigns has never been greater. But the panel also all violently agreed that this relationship is extremely vexed — a bit like a spotty teenager still working out life’s purpose. Growing up has to happen though. Innovation is the major agenda for everyone on the demand-side of the market, and business development — and frankly survival — is critical on the start-up side. But that doesn’t necessarily make the here and now any easier.